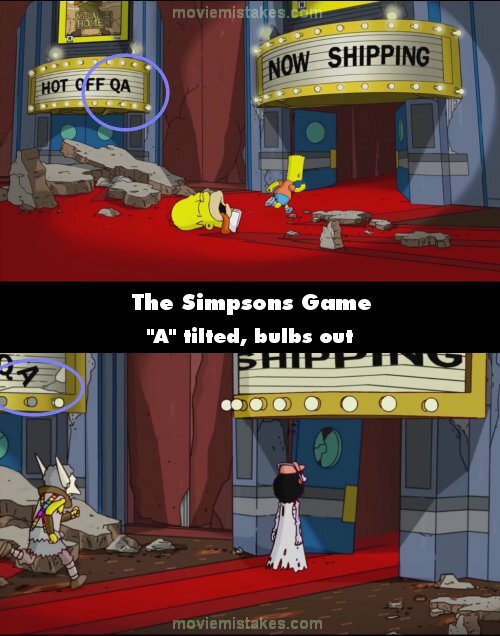 Continuity mistake: Game Over: Whilst escaping the game engine, Bart points to the portal to Springfield. On the left hand side of the screen is a sign saying "Hot Off QA" on the light fixture for the Medal of Homer game. In the next shot, the A in the sign is suddenly tilted. The light fixture also receives further damage.